Couples are opting to break from tradition and marry far from home, bringing friends and family to exotic locales for memorable nuptials. We take our readers on the romance with practical tips required and a passport for a destination wedding. Thanks to social media, the world gets smaller and distances shrink. Postings from friends, families and celebrities show dream weddings in scenic locations far from home-brought even closer via Instagram, Twitter or Facebook. My first destination wedding was when my best friend arranged her wedding in a traditional Thai teak house in Ayutthaya instead of a fancy hotel in Bangkok a decade ago. The bride looked graceful and stunning in her traditonal Thai-style wedding outfit while her French groom looked exotic and elegant. 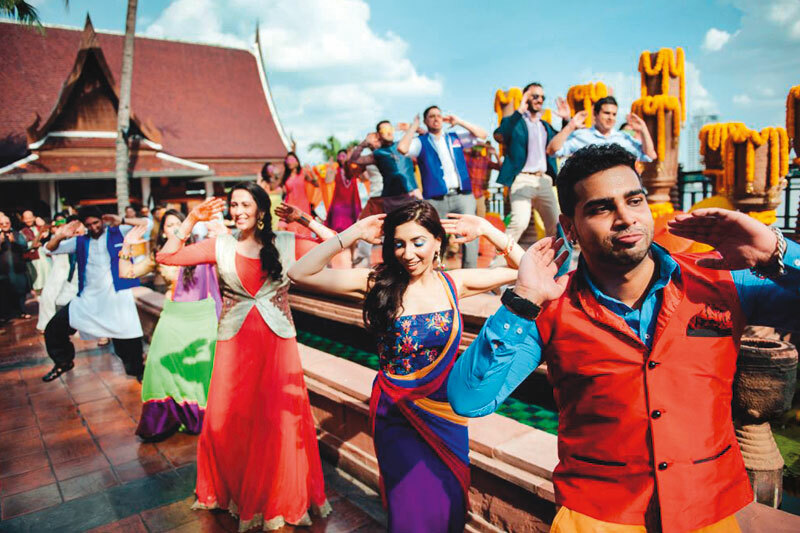 With a casual and traditional Thai wedding theme, guests wore colourful Thai ensembles that kept them cool in Thailand’s hot and humid weather. Happy smiles and joyous laughter from friends and families of a cosy wedding surrounded by nostalgic ambience remains beautifully engraved in memory. Kevin Lee, founder of Kevin Lee Productions, who’s one of the top wedding planners in the United States says that “a lot of people would like to go to a destination wedding. Why? 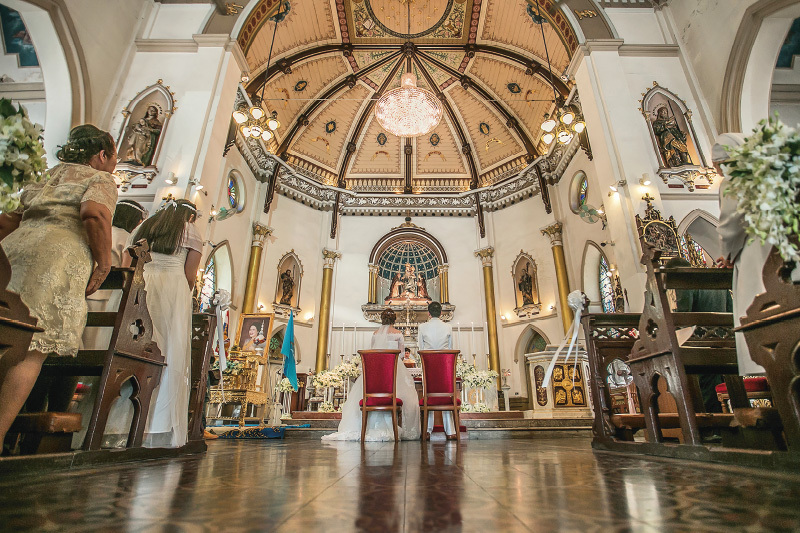 Let’s say you live in Bangkok – you have been to 20 different Bangkok weddings. They are all pretty much alike. Every wedding tends to be the same. That’s why you want to marry somewhere like Chiang Mai or Phuket or different islands, di erent cities. You would like (the wedding) to feel di erent.” Lee has designed weddings and events for A-list celebrities and seen them attended by the likes of Bill Clinton, Barack Obama, Brad Pitt, Oprah Winfrey, Tom Cruise and many other Hollywood stars. “That’s why there are so many times young people look for a destination wedding – because they are bored with the same old thing that happens over and over. They are bored with the same environment so they are looking for a destination location. At the same time, when you invite all your friends, you would like to have the best time with your friends,” says Lee, whose exuberant personality creates equally vibrant events. “Once your mind is set for a destination wedding, there are a lot of things to consider because it is rather more overwhelming than a traditional wedding close to home, especially when you’re organising and arranging so many details from afar. At the same time, the farther the venue is, the costlier it obviously is when considering the price of flight tickets and accommodation. If you just want to get away from your humdrum environment, going local is not a bad idea. Sumant Jayakrishnan, owner of Scenografia Sumant in Delhi shares tips for choosing a venue for a destination wedding. “You are looking for a place where you don’t have to travel too much – is it one stop or two stops? Too much travel and the guests may not come.